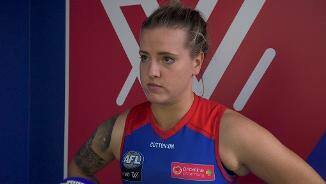 Hannah Scott says she felt overwhelmed when the idea of a AFLW Pride Game was first brought to the leadership group. 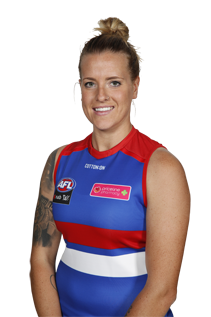 Katie Brennan will lead the Western Bulldogs’ women’s team for a second year running. Scott is a versatile player with a good engine. She has clean hands and is accurate by foot. 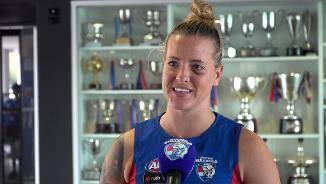 She enjoys the physical side of footy and never shies away from a contest. Being a dual premiership player at local level, Scott is hungry for success on the big stage.